The Zimbabwe Stock Exchange is the latest institution in the southern African country to be hit by critical foreign currency shortages. For the past three or so years, foreign investors have been facing challenges to repatriate investments after disposing their shares. This is in addition to failure to repatriate dividends, as evidenced by beverage manufacturer Delta, which is struggling to send dividends to major shareholder AB InBev amounting to approximately $50m. But on Thursday, ZSE investors woke up to another challenge as stockbrokers failed to access the market’s automated trading platform after its Dubai based software supplier, Infotech, withdrew support services due to non-payment. In a circular to market players seen by Fin24, the ZSE said it had not been allocated the foreign currency required for payments to be made in respect of 2018 maintenance and support fees, and as a result, its software supplier had withdrawn its support services. This is despite the stock market being a major contributor to foreign inflows over the years. "We refer to the above and confirm having noted anomalies since November 14, 2018, when we tried to access reports from ZSE Automated Post Trade Reporting System (PTRS). Some reports are coming out and some are failing completely," said the ZSE. The bourse said it required support from Infotech to rectify the matter, adding that the impact of failing to access the required foreign currency would be amplified if there were a problem on one of the platforms used to match trades. "As a brief background to the matter, the ZSE is obliged to pay maintenance fees for support to Infotech on an annual basis. ZSE has not been allocated the foreign currency required for payments to be made in respect of 2018 maintenance and support fees. Infotech has withdrawn support until payment has been made," the ZSE circular said. 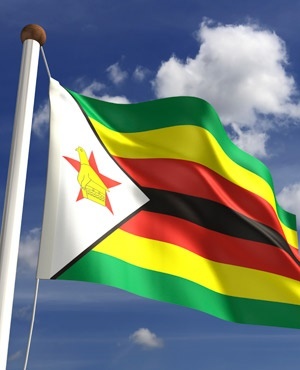 The ZSE and almost all the players in the market have not been getting allocations for software licencing, with the ZSE saying it believed it was important to share the information, "as we are all exposed to foreign currency shortages".